Supporters can avail of a choice of green attire to show their support. Photo credit: Garry Knight (Flickr). 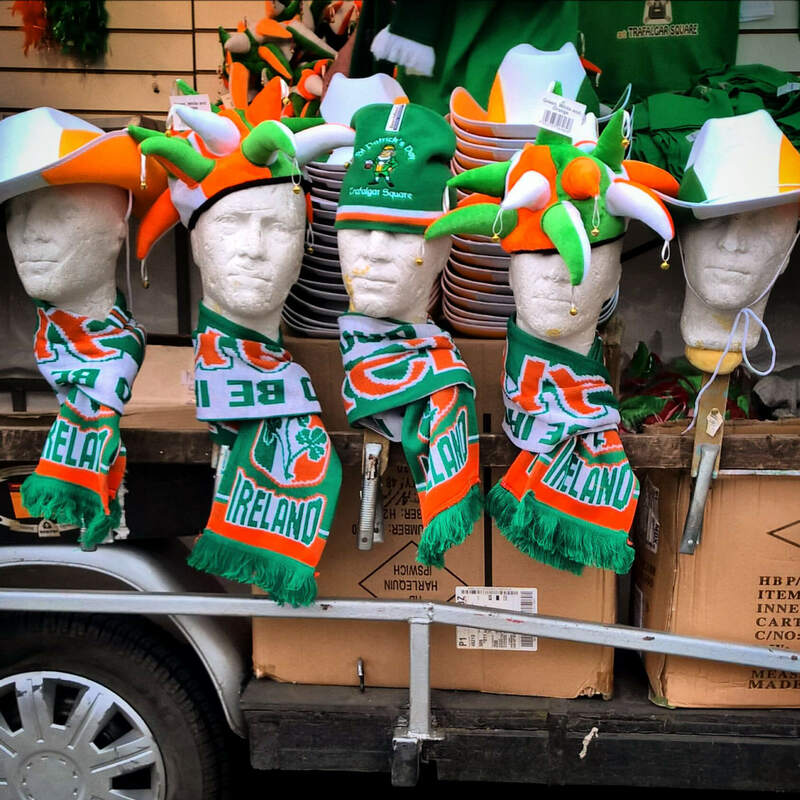 Ireland faces England today, St Patricks Day, in the last game of the 6 Nations Championship, and both teams have a lot to play for. If Ireland wins, it will be only their third grand slam in the team’s history. England is an unknown entity this week: with two losses back to back, their backs are against the wall and Eddie Jones has a lot to prove. With that said, we’ve looked back at the team’s previous records when they’ve met before. Playing in Twickenham, Ireland has only won three times since 1997: in 2004, 2006 and 2010. They’ve lost there 7 seven times since 1997. Homes wins show a much better record, with seven wins recorded, but four losses. Happily, the biggest win we’ve recorded over the English is the record that was set in 2007. 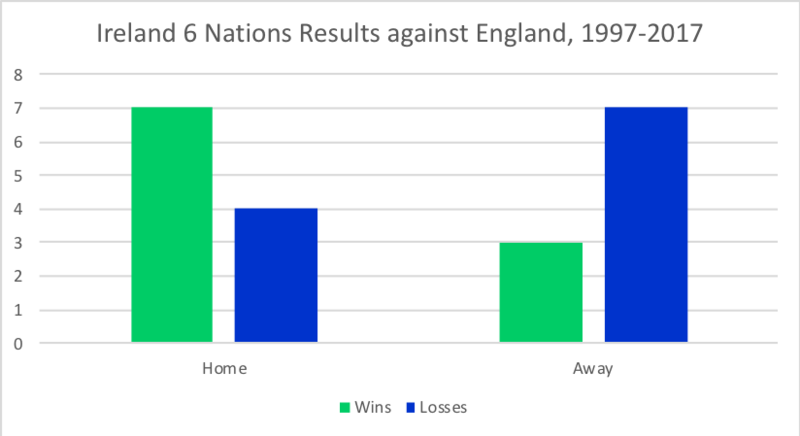 In terms of wins per tournament, England again has the edge over us. 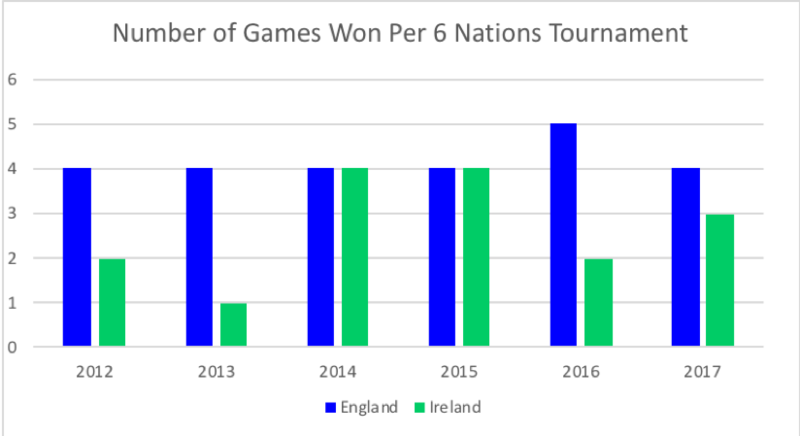 Since 2012, England has never lost more than 4 games per 6 Nations tournament. Ireland’s record is a lot more varied: anywhere from 1 win to 4 wins. Defensively, penalty count has been an area where both teams have varied. 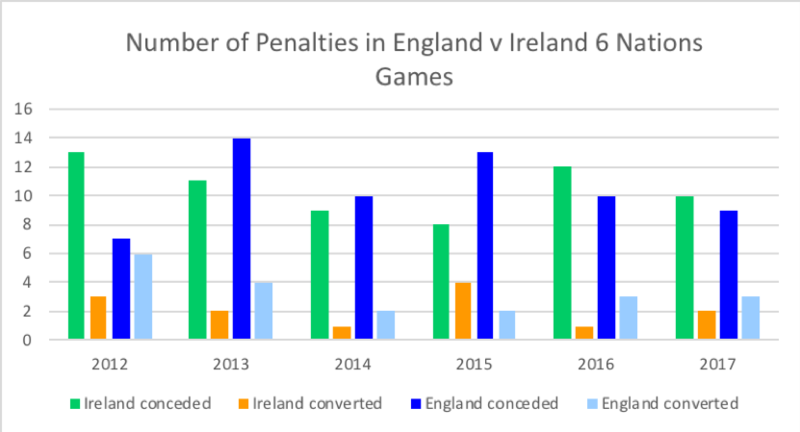 Admittedly since Joe Schmidt came into the role of Irish head coach, the Irish penalty count against the English has only been higher than theirs for one year, but since 2012 against the English it has gone from anywhere as low as 8 up to 13 penalties conceded. Overall, they have both conceded the same number of penalties since 2012. Ireland has successfully converted 13 penalties in total whereas England has successfully converted 20.